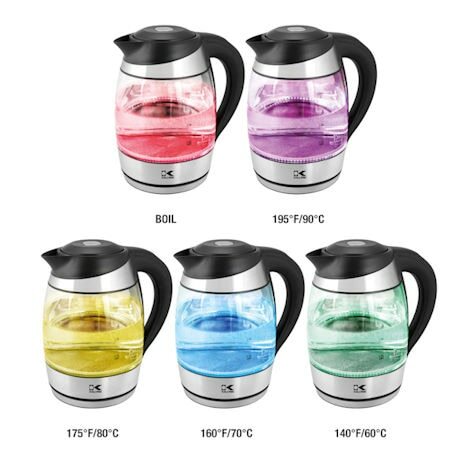 Boil water, or use any of the other 4 set temperatures to get perfect water every time for tea, hot chocolate or coffee. Even works for ramen noodles and soup! 1.8 liter/60 oz. carafe holds a lot of water. Heating element in the base heats the water in minutes - much faster than the stove or even a microwave. 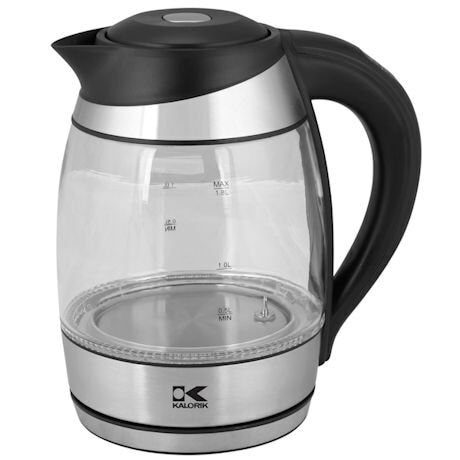 Cordless tea kettle removes from the heating element base for easy pouring. Boil-dry protection shuts off when no water is present. Black and stainless steel accents with glass carafe. • Capacity: 1.8L / 60 Oz.